Upscale, paper wrapped foam cups ensure high quality and visual appeal. 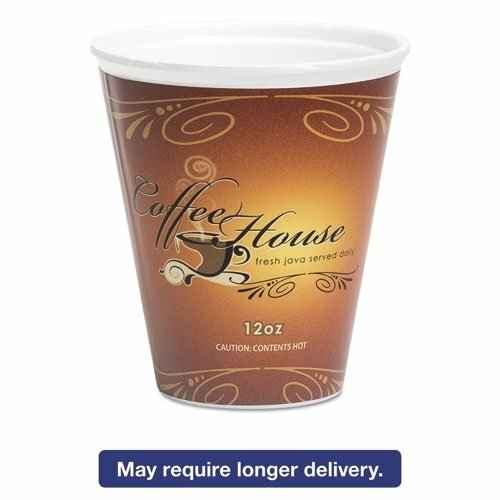 Attractive quot;Coffee Housequot; print maintains a professional image and gives a premium feel distinct from other disposable cups options. Provides the superior insulation, versatility, and leak resistance of foam. Cup Type: Hot Capacity Volume: 12 oz Materials: Foam Colors: Maroon. If you have any questions about this product by Wincup, contact us by completing and submitting the form below. If you are looking for a specif part number, please include it with your message.